Hope is not a thing which begins as I slip from my bed and my feet touch the ground. Neither is it found on my stoop as I exit my front door. Down my path, a winding one at that, I course – sometimes stumbling, sometimes falling in the face of some new challenge each day so unselfishly offers. Seems no matter my destination, my writing always leads me through the desert to the brink of a cliff. Hope is not something I pull from the depths of the valley below. It is the glider, dear reader, I ride to the green and verdant valley below. 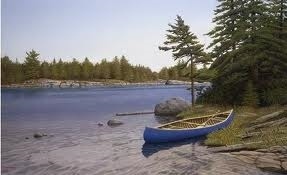 There, I catch a canoe down a blue river to a new sunrise. Hope has delivered me another chapter. Another day.